Ultimate Sports Insider: Andrew Oliver case: Are agents going to become a daily reality? An Ohio Court of Appeals has dismissed the NCAA's motion to deny Andrew Oliver's baseball eligibility, stating that an earlier injunction cannot be removed until the case has been ultimately decided at a jury trial beginning on October 19, 2009 in Erie County, Ohio. The agent and amateurism issues in this case that were initially covered by UltimateSportsInsider.com have grown much larger and the NCAA's own language suggests they have very serious concern about the implications of this case related to agents and amateurism. "The sheer scope of the trial Court's order is no less than breathtaking. In its efforts to grant Plaintiff the ability to participate in a handful of additional college baseball games, the trial court substituted its subjective judgement for that of the the NCAA's membership and, with a stroke of the pen, "voided" long standing fundamental rules across all sports and all divisions of a national, private organization. Indeed it is important to note that the trial court's ruling was not confined to the Plaintiff's individual sport, or to the NCAA division of which OSU [Oklahoma State University] is a member. Rather, its broad brush extends to schools large and small in Divisions I, II and III and to hundreds of thousands of student-athletes who participate in every NCAA-sanctioned sport." With the trial not scheduled to start for over six months, it appears that NCAA Bylaw 12.3.2.1 which bans the presence of a lawyer at negotiation of a professional contract is in limbo. Similarly, Bylaw 19.7, which indicates an institution risks vacating its records and subjecting itself to financial penalties by allowing an ineligible athlete to compete in order to comply with a court issued restraining order is also facing legal questions. If the case goes to trial, early court rulings suggest it is a very real possibility that the NCAA's rules will be partially or completely vacated. Losing at trial would be devastating to the NCAA in many ways and I have to believe they are pondering a possible settlement with Oliver to preserve the veneer of amateurism. Were a settlement to occur, it would certainly be for millions of dollars. But would Oliver settle? The NCAA may not offer a settlement. Oliver has to be emboldened by the courts initial rulings and strong language that allow him to maintain his eligibility. Barring an unforeseen collapse of his skills or an injury, Oliver is likely to be a first or very early round draft choice in the 2009 draft since he is "draft eligible", having passed his 21st birthday. He is unlikely to return to OSU after this season since doing so would undercut his negotiating stance with a professional team. Signing a professional contract makes the possible loss of collegiate eligibility a non-issue, should he lose the case, bolstering the possibility of continuing to litigate. Protecting Oklahoma State from possible financial penalties and having team records vacated for allowing him to participate would likely be part of any settlement discussion, making settlement more complicated. Oliver's Ohio based lawyer, Richard G. Johnson specializes in legal ethics and legal malpractice. He is not a sports agent. His approach to this case questions the ethics and legality of requiring an individual to enter into a contractual negotiation without counsel. While Johnson's obligation is to represent his client, not all student athletes, he has hit the mark by pitting the NCAA's seemingly flexible amateurism philosophies against what should be an unquestionable right to legal representation, a topic that would catch the eye of a legal ethics practitioner if there ever was one. This may provide extra motivation to think about the bigger picture. My previous article indicated that Andrew Oliver has an opportunity to be the Curt Flood of college athletics, stripping away significant NCAA Bylaws related to amateurism. For now, Oliver and Johnson will prepare for a trial. But my hunch is that they may have to ponder a settlement offer at some point and balance it against a much larger issue - their conviction about extent to which the NCAA's amateurism and agent rules should be abolished due to perceived inconsistency and unfairness. 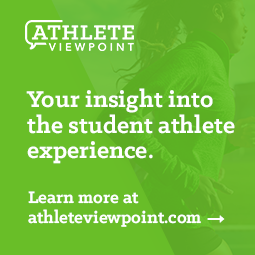 With an Oliver victory in the case, they may completely alter the rules for athletes at both the high school and collegiate levels, essentially making legal representation permissible across all areas of college sports.